One of our great joys is getting to make and share music with the people we love. On this new record, we all contributed to make something special; a collection of folk, bluegrass, and blues-influenced Christmas songs. Celebrate Christmas with Wallen and Phelps! Ten More Miles combines the talents of Brian, Molly, and Dean to produce something special: a collection of folk, blues, and bluegrass influenced Christmas songs. 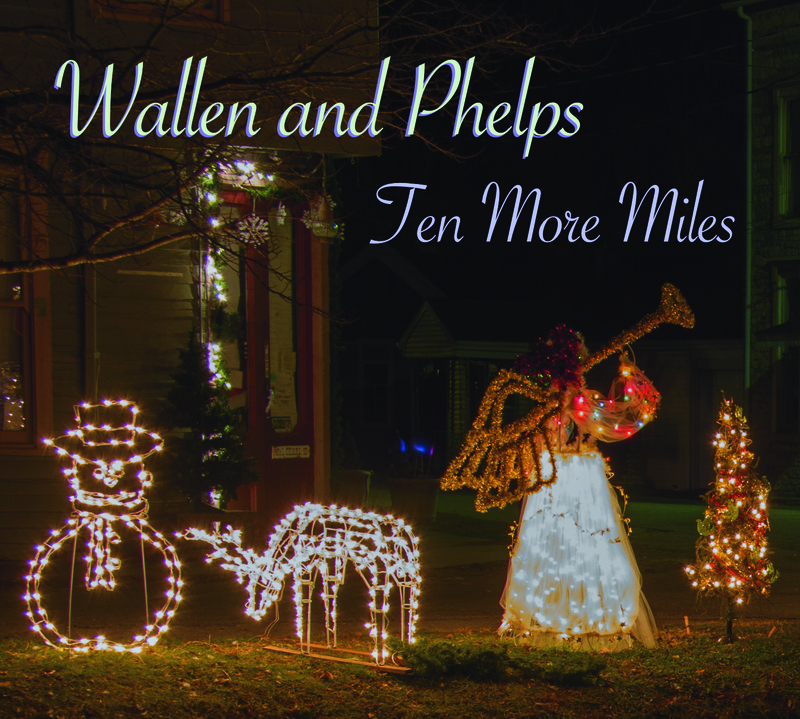 Digital download of Ten More Miles, Christmas music with folk, blues, and bluegrass influences by Wallen and Phelps. Get Ten More Miles and Mountain Roads, two CDs by Wallen and Phelps, at a discounted price. Get Ten More Miles and your choice of two other CDs at a discounted price.